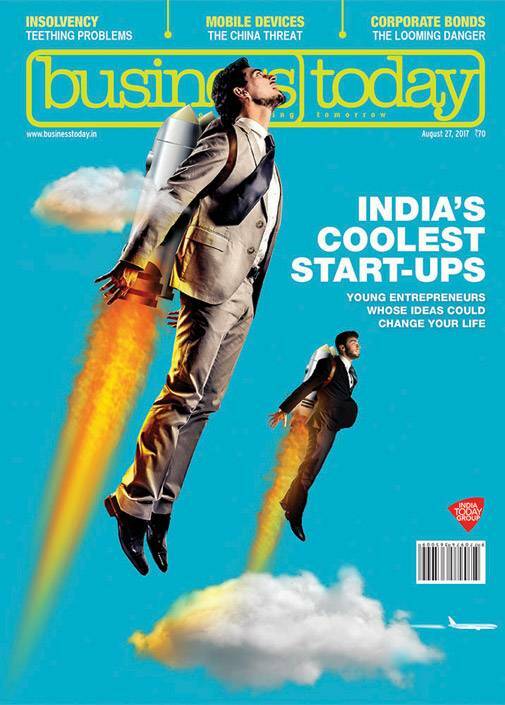 This refers to your cover story on India's Coolest Start-ups (August 27). The winners' feats speak loudly that India is not a laggard in this sphere. The companies are also maintaining the lead in their chosen domains. Insurance is given a new lease of life, junked autos are given a novel incarnation, and organisational growth is capped with green plumes owing to the endeavours of the game changers. "It is better to do the right thing than doing things right," said Peter F. Drucker, for the organisational contribution to its objectives and societal welfare. The talents and proven skills of the start-ups testify to the competence of the Indian entrepreneurial capacity in start-ups, vindicating their selection as winners. This refers to your article on Piramal Group (Piramal's Big Bet, Aug 13). Group Chairman Ajay Piramal had reportedly mentioned earlier: "We have experience in real estate and know the challenges. We know where you can make money and where you cannot." Piramal is dead right as to where you cannot make money. You have to ask the investors, like me, in their Indiareit Schemes III and IV. I had invested `25 lakh in Indiareit Scheme III in 2007 and 2008. In July 2016, the fund was closed after taking three-year extension. On top of the principal, the fund disbursed `4.85 lakh, which was more than their fees and expenses. The compounded annual return is less than 2 per cent. Although investments of this type entail risks, it is hard to understand the mediocre return over a 9-year period. The matter was taken up with Piramal Fund Management, which said there were a number of headwinds impacting the real estate sector and certain investments faced delays in execution. The explanation was vague. No data was given on the returns generated on similar funds of other companies. The smartest decision was funding only top-notch developers who were unlikely to default. In one of the deals, the subscription money of `5 crore paid by the Fund was written off. In the case of investment made in one of the projects Ambience in 2010, due to delays in approvals, the launch happened only in 2014. The project, already behind schedule, is expected to be completed in 2020. There has been diminution in value of its holding in the project. While many investors suffered, the fund was earning huge fees. Unfortunately, there is no provision for claw back of fees when the fund is managed incompetently as in this case. And also, there is no bar on companies managing these funds to raise money from investors even after poor show. The matter has been taken to SEBI by me in May, and the outcome is awaited. This refers to your article on the economy of UP (An UPhill Task, Aug 13). Many states like West Bengal, Punjab, and UP are under serious financial crisis. Waiving farm loan is the most populist poll plank for any political party now a days. It is a good political proposition for them to catch millions of voters. Though UP has been able to keep the fiscal deficit within prescribed limit, only time will tell how it shapes up. The state government has to ensure that in next one and half years it gives utmost importance to infrastructure projects and power supply. The state has to attract huge investment by private companies, which will definitely boost both employment and tax collections.